An exciting opportunity for a motor vehicle Inspector to join a visionary, global technology company, who are looking to reinvent the way cars are bought and sold via the internet. Our client are one of the worlds' first fully transactional, end-to-end online car marketplace. Their online platform connects buyers and sellers, in an organized, efficient and safe environment. Sellers list their cars, and once they pass our clients comprehensive inspection, they are made available to buyers. An exciting opportunity for a motor vehicle Inspector to join a visionary, global technology company, who are looking to revolutionise the way cars are bought and sold via the internet. You`ll operate on the frontline as the face of the company, meeting with car sellers and a revolutionary app based 100 point vehicle check and test drive of their vehicle. You'll also be the last person buyers shake hands with when you come to deliver. You`ll be a trustworthy automotive technician, ideally with field based or roadside experience who could build a car from the ground up and believes in nothing but top-quality workmanship. You`ll know a ton about cars, and love to talk about them and will have the communication skills to explain to the customers what they need to know in a way they can understand. 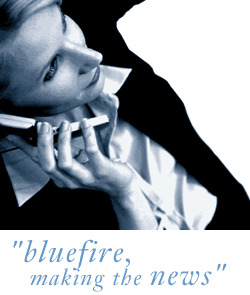 Bluefire Consulting is an equal opportunities Employment Business/Agency specialising in Automotive recruitment on a UK wide basis.